. 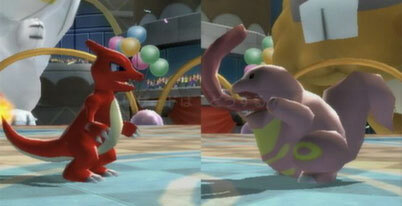 : Pokemon Battle Revolution :. Home / Nintendo Wii game manuals / Pokemon Battle Revolution :. Pokemon Battle Revolution manual Just click to open it in a new window then print the manual. The first Nintendo Wii entry in the much-enjoyed Pokemon franchise. The game is a battle stadium-type game between Pokemon, and it allows you to import your Pokemon from the DS games Pokemon Diamond & Pearl to play on the big screen. It is also the first Wii game to use the Nintendo WiFi Connect for online play with Pokemon fans from all over!